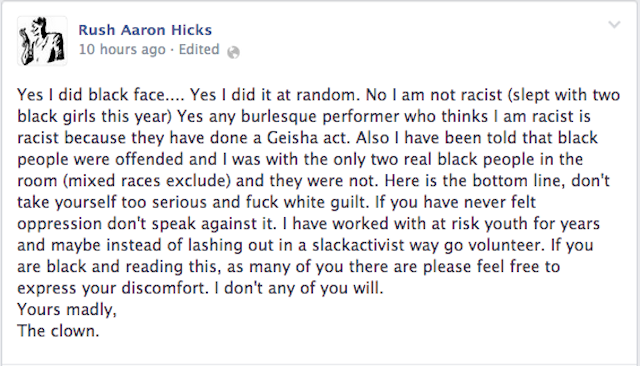 As I am sure many of you have heard and read by now, on Friday night at the famous, celebrated Slipper Room in New York, sideshow performer Rush Aaron Hicks, apparently without any pre-notification or discussion, took to the stage in blackface. His actions have been rightly condemned, but it was Rush Aaron Hicks’ explanation of this decision on social media which set off a firestorm of passionate discussion, angry reaction and disbelief throughout the online community. Rush Aaron Hicks also released a video with further comment, but this has been deleted after considerable backlash. Stay tuned for more reaction to this incident. 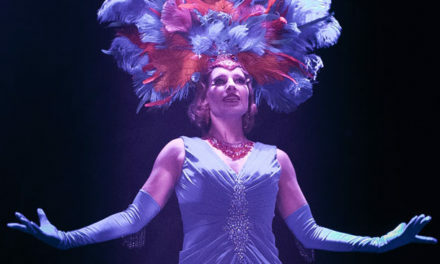 NextIvy Wilde: Facebook and Burlesque – Is It Bad for Business?